The Paper Cup King specialises in custom printed promotional paper cups. We've worked with The Paper Cup King from the beginning. We've built their site, designed their brand, and together we've gone from a non-existent presence to dominating the target market -custom printed promotional paper cups. While the website is an ecommerce store, the user can opt to enquire or request a quote for their specific requirements. This has meant developing a specific backend system to accomodate this. 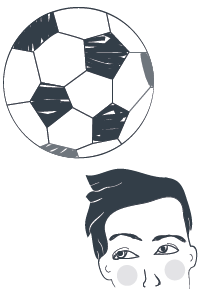 There are quite a few players in this market, some of them quite large organisations. They are scattered through Australia. Some, but not all, have an ecommerce option. 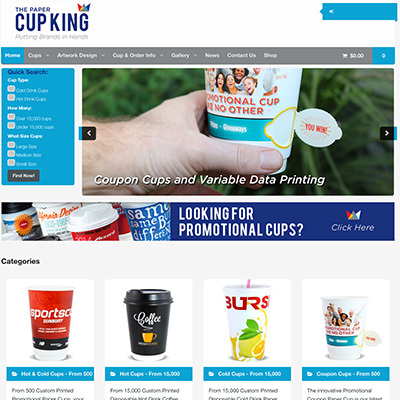 Apart from building an ecommerce site to allow for online purchasing of their product, The Paper Cup King needed to establish temselves as a presence in the market. Developing content that was specifically targeted at their audience was key. It has definitely worked! Traffic and enquiries continue to grow. With enquiries growing daily for their product via their website, The Cup King have recently employed a person just to answer enquiries and process quotes and orders. That's not a bad advertisement for the success of their marketing! As the needs of the business and the market change we will be there to ensure that The Paper Cup King continues to reign of this market!